With the major applications in medical, agriculture, defense and logistics, demand for service robots were increased by 27% in 2016, as compared to 2015. Along with professional service, personal service robotics business is also expanding across the globe. The demand for personal and domestic service robots were waved by 16% in 2015. 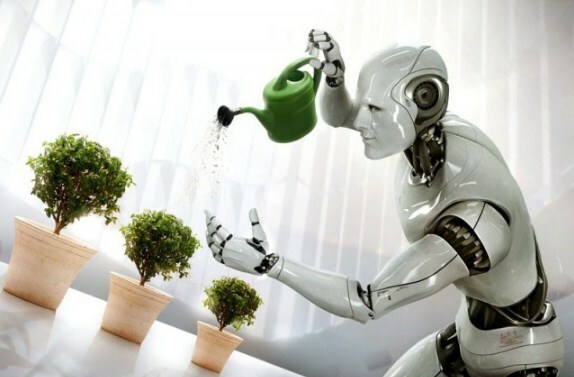 Growing demand of robots for household and domestic purpose is spurring the market growth. In 2016, around 4 million units of personal service robots were sold which includes vacuum cleaners, window cleaners and lawn mowers. Personal service robotics segment is relatively a new market and is giving rise to various startups in this field. Growing number of startups for this business is expected to contribute in the personal service robotics market growth. As per the Goldstein Research analyst, the global personal service robotics market size valued USD 2.9 billion in 2016 and is estimated to reach USD 21.0 billion by 2024 growing at a CAGR of 28.0% during the period 2016-2024. The report covers the present ground scenario and the future growth prospects of the personal service robotics market for 2016-2024 along current and estimated sales value of personal service robots in every region. We calculated the market size and revenue share on the basis of revenue generated from total sales of personal service robots (million units) and price value personal service robots across the globe. On the basis of product type, domestic or household robots occupied 67% market share to total sales of personal service robots in 2016. Sales volume of domestic robots is projected to reach over 55 million units by 2024. Nearly 2 million units of entertainment robots were sold in 2016 and the number is projected to reach over 11 million units by 2024. Rising popularity of toy and education robots is likely to contribute in the market growth during the forecast period. Personal service robotics market Outlook 2016-2024, has been prepared based on an in-depth market analysis from industry experts. The report covers the competitive landscape and current position of major players in the global personal service robotics market. The report also includes porter’s five force model, SWOT analysis, company profiling, business strategies of market players and their business models. Global personal service robotics market report also recognizes value chain analysis to understand the cost differentiation to provide competitive advantage to the existing and new entry players. Our global personal service robotics market report comprises of the following companies as the key players in the Personal Service Robotics market: iRobot Corporation, Ecovacs, Future Robots, Gecko Systems, Hanool Robotics and Hayward Industries. Other high-flying vendors in the market are: Hoover, Intel, Jibo, LG Electronics, Mamirobot, Matsutek, Maytronics, Miele, Neato Robotics Inc., Yujin Robot, GCtronic, DO bots, ROBOPOLIS, Pentair, Samsung Electronics, Softbank Group Corporation, Sony Corporation, Toshiba, Wany Robot, WowWee, Zodiac and Awabot. According to the report, growing demand for robots which are skilled in accomplishing tedious household task are expected to propel the growth of personal service robotics market. In 2016, sales of vacuum cleaning, lawn-mowing and window cleaning robots were more than 25% as compared to 2015. Further, the report states that high initial cost and concern associated with human safety may hinder the market growth of personal service robotics during the forecast period. PR2 developed by Willow Garage is one of the most expensive personal service robots whose price is USD 250,000. Other personal service robots such as NAO and Darwin are ranges from USD 12,000 to USD 15000. Based on geography, Europe region dominated the global personal service robotics market and accounted for 35% of total market share in 2016. North America personal service robotics market valued USD 0.9 billion in 2016 and is estimated to register healthy growth during the forecast period. Asia-Pacific region is expected to bring ample of opportunities for personal service robotics market in the near future, owing to the growing number local players for personal service robots in countries such as China and Japan in the region. What is the total market size by 2024 and what would be the expected growth rate of personal service robotics market? What are the sales of personal service robots in every region and what would be the opportunities over the forecast period? What is the total number of manufacturers of all types of personal service robots by region?